The first looks at gold’s performance despite some seemingly concerted attempts to knock the price back – a subject I’ve commented on before. These look to have failed – at least in terms of making a major permanent dent in the metal price, although the mere process of knocking the price back – even if only for a very short time – may indeed make potential gold investors more cautious. The article is: Even another flash crash can’t keep gold price down. Click on the title to read it. I always advise investors to follow the smart money, and one person high on the list is Stanley Druckenmiller. 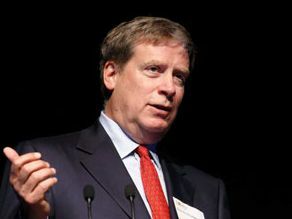 Second-quarter regulatory filings show that Stanley Druckenmiller, the famed hedge fund manager, just place more than $323 million of his own money into a gold ETF, at a time when sentiment toward the yellow metal is in the basement. Druckenmiller has commented in the past that if he sees something that really excites him, he’ll bet the ranch on it. While I have always advocated for a diversified approach, this all-in approach has served him well. Between 1986 and 2010, the year he closed his fund to investors, Druckenmiller consistently delivered 30 percent on an average annual basis. Thirty percent a year! That’s a superhuman, Michael Jordan-caliber performance—or Ted Williams, if we want to stick to baseball imagery. The point is that words such as “legendary” and “titan” were invented with people like Druckenmiller in mind. During his career, the man has made some now-mythic calls, the most storied and studied being his decision to short the British pound in 1992. This bet against the currency forced the British government to devalue the pound and withdraw it from the European Exchange Rate Mechanism (ERM), which is why many people say the trade “broke the Bank of England.” It also made Quantum, George Soros’s hedge fund, $1 billion. And now he’s making a call on gold. The $323-million investment is currently the single largest position in Druckenmiller’s family fund. It’s twice as large, in fact, as its second-largest position, Facebook, and amounts to 20 percent of total fund holdings. His conviction in gold can be traced to his criticism of the Federal Reserve’s policy of massive money-printing and near-zero interest rates. Such ongoing low rates push investors and central banks alike into other types of assets, including physical gold. Concerns over government policy is why prudent investors hope for the best but prepare for the worst. I’ve always advocated a 10-percent weighting in gold: 5 percent in gold stocks, 5 percent in bullion, then rebalance every year. This is the case in good times and in bad. Love him or hate him as a presidential candidate, Donald Trump has the same attitude toward owning gold in today’s easy-money economy. After leasing a floor of the Trump Building to Apmex, a precious metals exchange, he agreed back in 2011 to accept three 32-ounce bars of gold as the security deposit, according to TheStreet. Trump and Druckenmiller aren’t the only ones adding to their gold positions right now. As I told Daniela Cambone on this week’s Gold Game Film, the Chinese government is now reporting its gold consumption on a monthly basis. In July it purchased 54 million ounces. This is significant in the country’s march to become a world-class currency that’s supported by the International Monetary Fund (IMF) for special drawing rights. Both of our precious metals funds, Gold and Precious Metals Fund (USERX) and World Precious Minerals Fund (UNWPX), aim to offer protection against the sort of monetary instability Druckenmiller and Trump have warned us about.